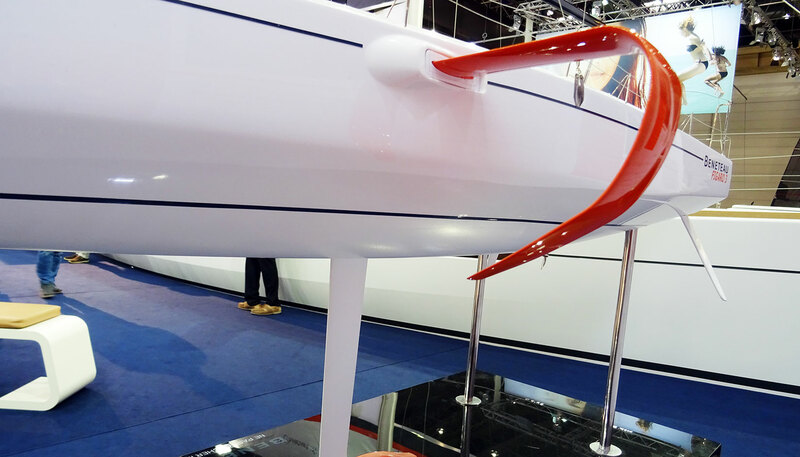 When I was roaming the last BOOT Boatshow in Dusseldorf (read my articles on this great show by clicking on the hashtag #boatshowdusseldorf) I of course came by the stand of Beneteau. 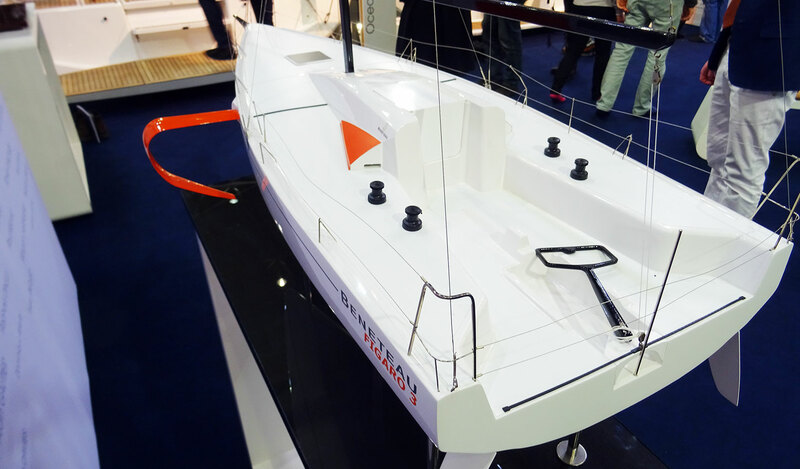 All the Oceanis and other cruising boats didn´t cast too much attention but a small model displayed in a fairly distant corner of the exhibition stand: The brand-new Figaro 3. As I already had interviewed the designer of the Figaro 1 and 2, Monsieur Marc Lombard (read it here) and with Sam Goodchild one of the pro-sailors riding the Figaro through the famous La Solitude-races (read the interview here) I was keen on maybe collecting some facts on the new boat – simply because the Figaro 3 is a trigger of serious discussions among sailors. 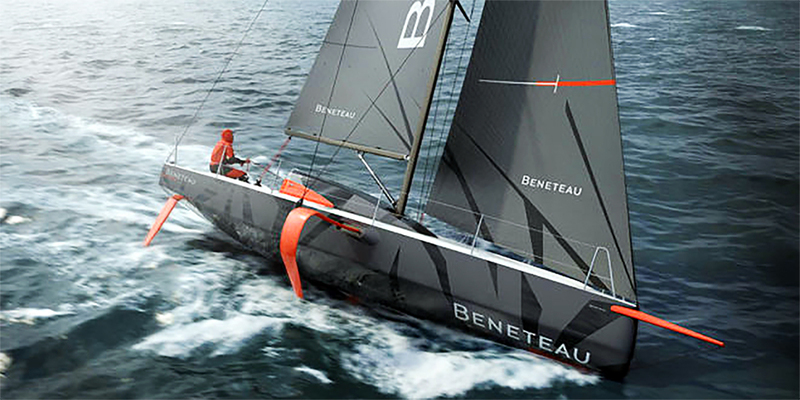 Happy to have Eric Ingouf of Beneteau as a respondent for my questions. Eric: “Well, first of all the Figaro 3 is a slightly smaller boat. 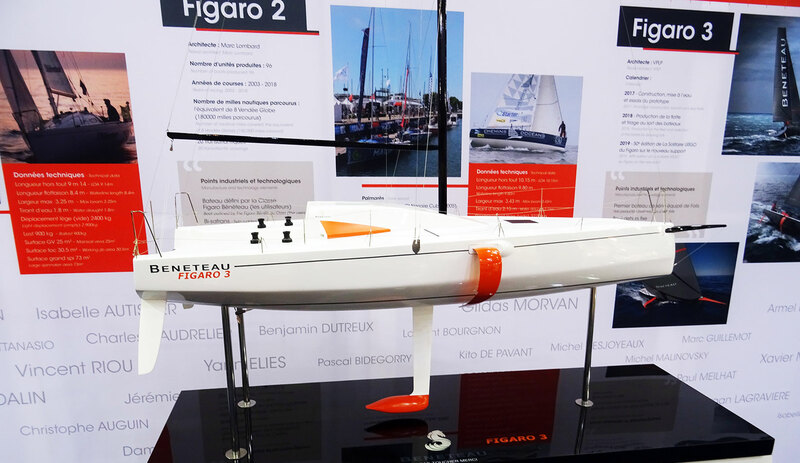 The general measurements of the Figaro 3 is 9.75 meters length over all compared to 10.15 of the Figaro 2. She is slightly wider and has a deeper keel which still makes her overall displacement with 2.9 tons some 100 kilograms lighter than that of her predecessor. The Figaro 3 has Cat A CE-certification, ISO and WS Cat 1 label. She does not feature a water ballast-system as well. The most obvious difference of course are the foils which. NFS.com: “Eric, thanks so much for taking some time to answering my questions. 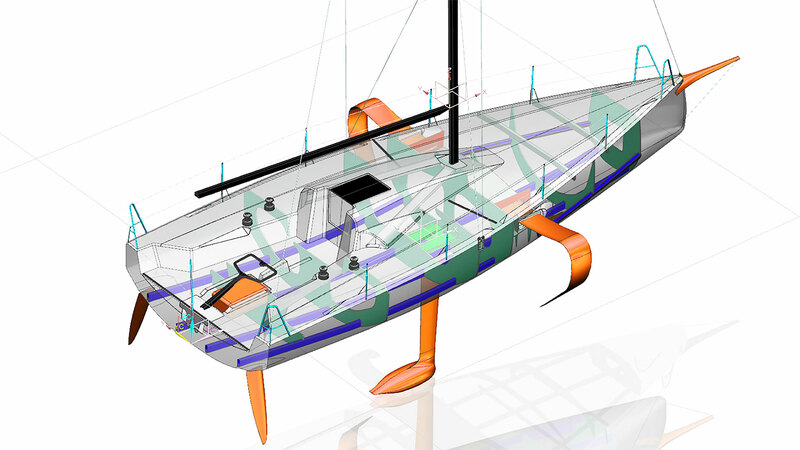 I am very excited to see the first pictures of a real Beneteau Figaro 3 and wish all the best for the upcoming months for the project. Next Post	Coffee or Tea when Sailing?